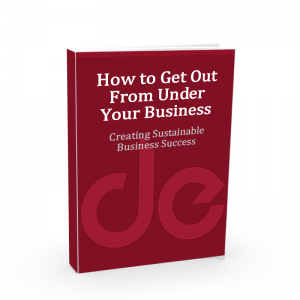 How to Get Out From Under Your Business! 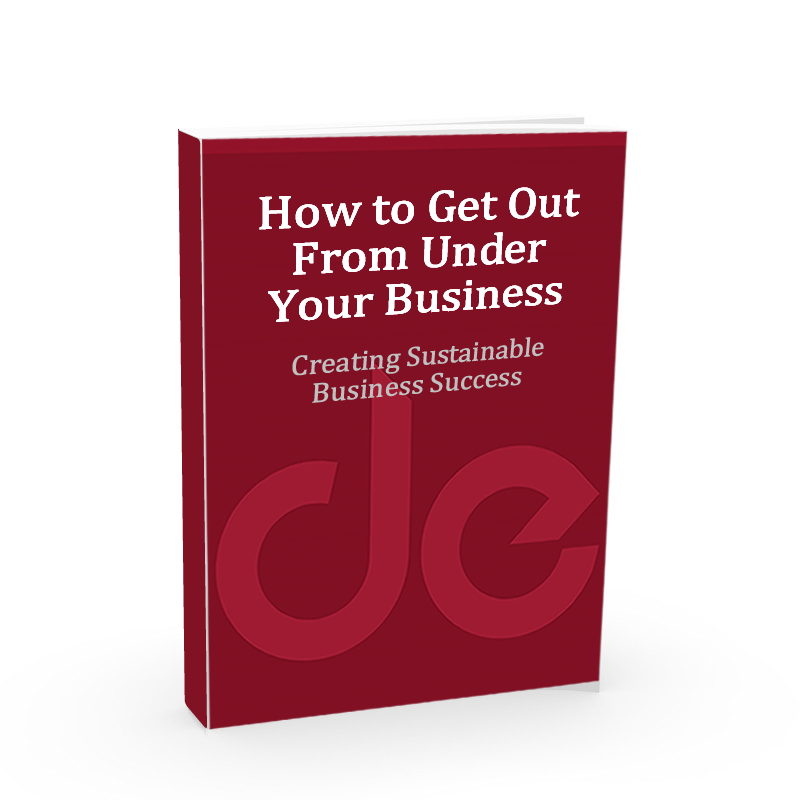 - DE Inc.
How to Get Out From Under Your Business! Home/How to Get Out From Under Your Business! Congratulations you’ve made it farther than more than 98% of the people that start their own business. It puts you into a very elite group within the population. How do you sell your business to turn it into cash? 20% of all business listed ever actually sell. 50% of the business deals agreed to between a buyer and seller ever close. 70% of all existing business will exchange hands in the next 10 – 15 years. With statistics like this you need to give yourself every opportunity possible to be in that 20%! Your business probably is your single largest asset! But, have you created a sustainable business? If not, when you are ready, selling your business just got a whole lot harder and you may not get as much as you may need to keep the lifestyle you want!! Building a sustainable business is easier than you think! Does Your Exit Strategy Create a Sustainable Business? If your answer is NO or “it would take a while to get my house in order” you and your family are at risk! Systems are the key differentiator between survival and success when it comes to business growth! Systems create a sustainable business with improved business performance and growth potential! Guess what, business sustainability is also a major characteristic buyers look for when evaluating a business for purchase. So, if your business doesn’t run by itself, your ability to sell your business just went down dramatically as well as its value! A sustainable business gives you more options and greater flexibility! If your business runs by itself, do you really need to sell your business? By creating a sustainable business your exit strategy options increased if you can walk away from your business and it continues to generate revenue! Why would you sell it? Set up correctly your business can be an ongoing annuity for your family!!! Don’t leave your future to chance and end up like a majority of small business owners that have to sell their business. Build a sustainable business and give yourself options. “Our goal was to stabilize our home design business and turn it around to show a growth in profit, instead of the steady decline that we had previously been seeing. Dino was instrumental in helping us establish a solid plan of action that would allow us to work towards success, both immediately and long-term. Within six months, we had stabilized our business, and today we are working towards building it back up, in an economy that is unstable at best.” – Joe and Donna Ahmann, Owners, Ahmann Design, Inc.; Fusion Architects; Compass Commercial; Ahmann Properties, Inc.
How Do You Create a Sustainable Business? Do You Have More Questions About Creating Business Self-Sustainability?